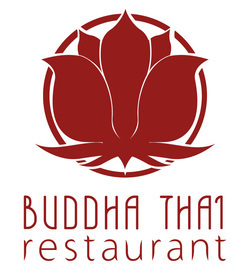 Recently, we were craving Thai food and decided to order some home delivery from Buddha Thai in South Preston. Buddha Thai was a positive experience. The woman who took my call was friendly and efficient as was the delivery man. The food was delivered promptly and was of high quality and quantity. For our entrees we ordered Roti Bread with Peanut Sauce. I would love to know the recipe of their peanut sauce, it was simply delicious. Sweet, peanuty satay with a chilli finish. A welcome beginning to the meal. Our second entree was the Tom Kar Soup. A creamy coconut milk soup with prawns, chilli, lemongrass, coriander and galangal (what's galangal?). The prawns were king prawns and the soup was just out of this world. Warming and bold in taste - a perfect soup for a winter evening. For our mains, we opted for Pad Thai and a Green Curry with Beef and steamed rice. The Pad Thai could have been a little spicier for our liking. The curry was superb but for me, it had too much fennel in it. We will definitely be ordering from Buddha Thai again before winter is through. Are your tastebuds craving Thai Cuisine? I guess it's time to give Budda Thai a call.